The Social Capitalist is sponsored programming of myGreenlight, the only comprehensive on-line learning platform for critical relationship development skills. The interactive interview series is dedicated to delivering in depth discussion on relationship science with the best and brightest thought leaders in business and academia. Tahl recently interviewed author and business communication coach Nancy Ancowitz. Here are his takeaways from the interview. Click here for the interview’s audio recording and here for the transcript. It was the first business I started, and back then, I still bought into the nearly-pervasive model of leadership that prizes big personalities: those socially assertive charismatics, bold and energized in large crowds. That wasn’t me, but I was trying to fake it. I’d find myself exhausted by these parties and other high octane social situations, needing every so often to slip away and recharge in a bathroom or outside for 10 to 15 minutes. In college, I actually started smoking because it provided a plausible rationale for these mid-soiree Houdini acts. Now that us introverts can begin to proudly step out of the bathroom — when we’re ready, of course, and preferably into a quiet small-group setting — there’s still the issue of how anyone in our organizations and industries will learn just how much we can bring to the table. 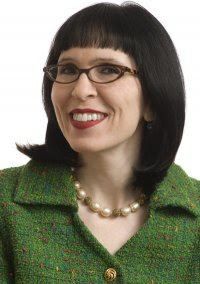 Getting ahead without getting known, however, remains a big obstacle, which is why for the Social Capitalist Skill sessions we sought out Nancy Ancowitz, a business communication coach and author of, Self-Promotion for Introverts. My name is Tahl, and I’m an introvert. And after a little coaching from Nancy, I know how to make the best of that situation. Now if you’ll excuse me, I need a bit of a solitary break from you people. Enjoy the interview. A career coach can help you understand yourself, aid you in discovering and exploring all possible options and assist you in making realistic and measurable career goals. Generally, a career coach helps you stay focused on your present concerns about your work. They also motivate and challenge you in attaining what you want and set specific actions to be taken in order to achieve them. These benefits can be better translated and understood in the following three aspects..
A welcome read! After years in the creative industry – often with little recognition of my true abilities – I have moved into the non-profit sector. The written word is the introvert’s best friend. I, like many introverts, have embraced the power of blogs and social media to establish a presence in my new field. I wish books on this topic had been available 25 years ago, as I’m certain it would have made life and career much easier and more lucrative. I’ve just started to read Susan’s book; I have it next to me right now. I finished “Introvert Power: Why Your Inner Life is Your Hidden Strength”, by Laurie Helgoe. That’s also a great addition to any introvert’s bookshelf.